WAITING – HOPE. AFFLICTION. PRAYER. All content on this site is owned by Juanita Stevens and LightHouse PowerHouse Ministries. Not available for republishing without permission. Waiting. We all spend time waiting for something. Waiting and expecting. But how do we wait? Why do we wait? How are we to wait? All great questions. This passage gives us a glimpse into waiting. How we are to wait on the Lord. So many times we just want things now, that we don’t even think about what it would be like to wait. To really wait for something. We get so impatient in this crazy world of instant everything. Let’s take a moment and realize some important things about waiting on the Lord. Be joyful in hope – We are to wait with hope. Expectations of things to come. But we are to be joyful in that waiting. I ponder the expectation of Christ’s return and how hopeful it is to get to spend eternity with God. The hope we have in the finished work of Christ on the cross. Oh, to just sit and ponder in these amazing gifts from God and know that we have joy in the hope of the future. Patient in affliction – We are to expect affliction. God says to count it all joy when we experience trials. But to be patient! Really, patience is not something I do well. I like things now. Especially when I am struggling, I want an answer and I want it now! I’m reminded of the little girl in Willy Wonka and the Chocolate factory. She wanted everything, and she wanted it now. She would throw a tantrum until she got what she wanted. Then one day when she got to go into the Wonka factory, she threw a fit. She did not get what she wanted. It is difficult to wait patiently when we are going through difficult times, but God has a better plan for us. Take a moment and focus on Him when the struggles are overwhelming. When we want something right now. Stop. Wait and see what God is going to do. When you hear faithful in prayer, what do you think about? In I Thessalonians we are told to pray without ceasing. We are to be anxious about nothing but in everything with prayer and supplication. We are to bring everything to God — all our concerns, thoughts, joys, hurts, dreams, and the list goes on. We are to be continually talking to Him about everything. So when you put faithful in prayer together, you are continually praying, talking to God out of your deep affection and allegiance to Him. You pray our of duty and love. As we wait and pray, we find our hope in Jesus. Our strength in Him. Our dreams becoming His desire for the lost. Although we hate waiting, it is well worth the wait when we see God’s hand moving in our lives and the lives of those we love. So won’t you wait with me joyfully in hope, patiently in affliction, and faithfully in prayer. Father, you know how I struggle to wait. You know my many hopes and dreams. You know how I long for answers and being able to do so many more things, but help me to learn how to wait. Learn how to pray. May I wait joyfully in the hope I have in You. Patiently in the afflictions that draw me closer to You. And faithfully in prayer for the things of You. Draw us all closer to You. In Jesus’ precious name. Amen. Posted on January 10, 2018 Categories BlogLeave a comment on WAITING – HOPE. AFFLICTION. PRAYER. July 2016 found me on one of the “chutes” I mentioned in an earlier post. After spending a great Fourth of July weekend with my family at camp, I became sick with Strep throat. I had no energy and felt horrible. Sunday morning my fever had finally broken and I was starting to feel a little better. I knew something was wrong when there was no hot water. So, I went to my basement to check things out. What I found was overwhelming. The shock was so intense I almost fell down, so, I sat down on the steps instead and cried. I cried out to God for wisdom, understanding and what I should do. After having a good cry and gathering myself together, I knew I had to call for help. My first call was to the Lord. Then to the plumber to help come up with a plan to remove all of this water, for a pump of some sort was going to be needed. God’s peace came over me after talking to a friend and asking her to pray. God put the words of a song “Blessed be the name of the Lord – The Lord giveth and the Lord taketh away” in my heart. I began singing this song and such peace. When I talked with my son we could both say, “It’s just stuff. I’m alive. He’s alive. We’re doing okay. Life is what matters.” These were the thoughts that kept me going in the days ahead. I left the plumber pumping out water and went to church. He told me there was nothing else I could do, I should just go to church. So that is what I did. I went to church and praised God for His amazing grace. A couple of days later after the insurance adjuster said we could start the cleanup we were amazed at the things that did not get destroyed. The books that were saved were books for women’s ministry, counseling, prayer, and relationships. This was amazing to us as we were in the early stages of starting a non-profit ministry to single moms and their children. These were the books that were going to be needed in this ministry. I am so thankful that He had given me such peace that it was easy to say during cleanup “pitch”. So when trials come your way and you lose everything or most of your things, are you able to say with Job, “The Lord gave and the Lord has taken away. Blessed be the name of the Lord.”? Father, I am so thankful that you give and you take away but that you always remain faithful and true. You never leave us and you always do what is best for us. You give us what we need and remove the things that keep us from You. May we always remember and be ready to say. “The Lord giveth and the Lord taketh away. Blessed be the name of the Lord.” Thank you for being my loving Father. In Jesus Name Amen. 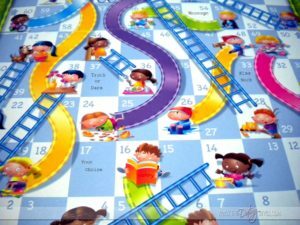 Do you remember playing the g ame “Chutes and Ladders”? You spin the spinner and move your player the number of spaces. At certain times you may land at the bottom of a “ladder” and get to climb up higher on the game board. And at other times you may land on a “chute” and have to slide back down to a lower level. Life can be like that as well. We start running along and think we are making great progress. Then we run into a bump in the road or trip over something. Sometimes we fall down while other times we stumble. God has made us to be people of relationships. These relationships can help us when we stumble and fall. The people that God has placed in our lives help us up and move towards the Lord. As Christians we have one another to come alongside us and help us up when we fall down. They help carry our burdens and pray with us and for us. As I have moved through my struggles with my shoulder recovery, God has been right there encouraging me and strengthening me in all that He has called me to do. When I feel overwhelmed or exhausted He provides those friends who help to pick me up through prayer. As my rehab has been a sense of “chutes and ladders”, so has my daily life adventures. One knows that just as the game has an unpredictable slant to it so does life. The only thing that is for sure is that God is with us, walking through life and guiding us along. He already knows what those bumps or “chutes” are going to be. He has a plan in each one of them. He also has surprises along the way where He picks us up and moves us quickly up the “ladder” to the next level that He has for us as we grow in Him. I am so glad that God is with me wherever I go and whatever I go through. He will never leave me nor forsake me, no matter what life throws my way. Let’s thank God for His omnipresence as He is always with us. Father, I am so thankful that you are always with me. You will never leave me nor forsake me. You see my ups and downs, my growth and my setbacks. You are always there cheering me on and guiding me to the next thing you have for me. Thank you for giving me friends and family that also help to pick me up when I am down. Thank you for being my great physician and healing me when I am weak and injured. Thank you for being God and being ever present in my life. I pray all of these things in Jesus’ name. Amen. God uses so many things to get our attention. Over the last several weeks God has been drawing me closer to Himself through lessons in life and prayer. Mountains seem to be building in front of me. They are becoming a range not just one mountain. So God’s been teaching me that we don’t always need to pray for the mountain to be moved, but sometimes we need to pray for the strength to climb the mountain. To draw our strength from God. To draw closer to Him and hear His still small voice. I started questioning what are the mountains in my life that I need to have moved. Then my thought process moved from do the mountains need to be moved or climbed. As I continued to process this and started studying more God has been teaching me that sometimes they are to be moved, sometimes they need to be thrown into the sea, and sometimes they need to be climbed with the help of the only One who can help us reach the top. Then on the way home from a meeting I heard this passage on the radio. Then this song “Sometimes It Takes A Mountain” by the Gaither Band came on the radio. I just knew God was giving me this to help me continue to process my thoughts on the mountains in my life and what they are. What they might be used for. How I am to pray for the mountains and trust God to do what is best. I just need to trust Him and believe. No doubting that He will do what He is going to do, because HE IS GOD! Pursued by the one who loves you and wants you most. There are two who pursue you, your true love and the one who wants your love for his things and the lies of this world. Watching a man pursue the woman he loves, can be exciting as he does things to woo her to himself. He studies her and discovers as much as he can about her. He spends time with her drawing her out, getting her to open up to him in ways she never would with just anyone. She tells him her worst fears, her greatest dreams, everything that makes her who she is. When she feels comfortable with him she shares her past, all the hurts, pain, and joys. The friendship develops and his love for her ever deepens. She starts to fall in love with him as well. The more time they spend together the deeper the love relationship goes. So, when they are apart it is as if a part of them is missing. They desire to be together and can’t wait for the return. That is how it is with our heavenly Father. He pursues us. The thing is He already knows our deepest pains, hurts, and joys. He knows our dreams, fears, and who we are. He just helps us to find those things and go deeper with Him. He draws us to Himself. Our love for Him grows and we want to spend all of our time with Him. Talking to Him. Doing things with Him. So when we stop talking to Him and move away after something else, His heart breaks and He wants us to come back to Him. He calls our name and wants us for Himself. He pursues us with His strength and wants to protect us and provide for us. We just need to let Him. When we realize what we’ve lost as we moved away from Him, we need to pursue Him and find Him again. I think of Song of Solomon and how the woman had a wonderful thing. Her lover had saved her from the harshness of life and was providing her with his love. But when he came to her she did not let him in. Then she missed him and went to pursue him. God pursues us with an everlasting love. Will you pursue Him as well. Prayer: Father, may we pursue you with all of our heart, soul, and mind. May we want to spend time with You and miss every moment we are away from You. Draw us ever closer to You and Your love for us. May we go deeper into Your everlasting arms and allow You to hold us tight. In Jesus’ Name, Amen. Our emotions can take us on a rollercoaster ride throughout our lives. Sometimes they are all over the place and other times we can control them. The thing is each event or circumstance in our life can bring about a different type of emotion. As humans God gave us emotions that go with different things in our lives. 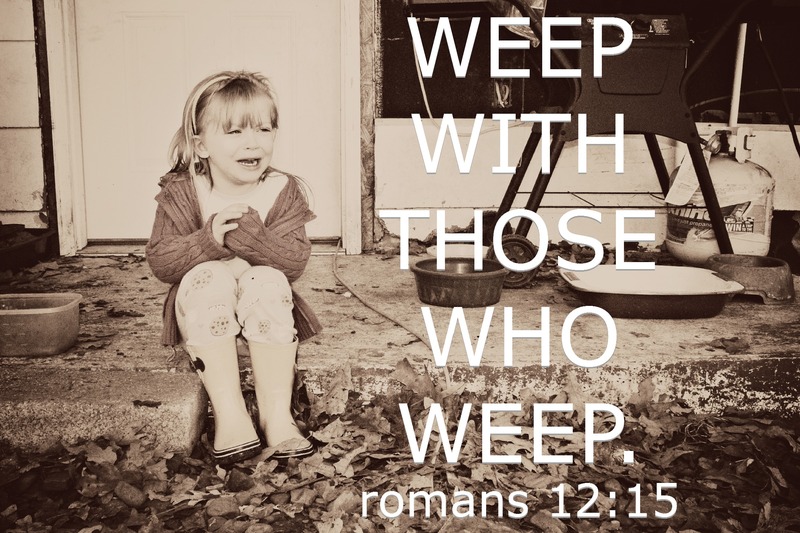 This verse looks specifically at weeping and laughing, mourning and dancing. Let’s think about some times in our lives that we may weep, laugh, mourn, or dance. We may weep tears of joy or sadness. Weeping can come about because we are broken because of our sin. Sometimes the weeping comes as we see another fall into sin or give up. We are torn apart at the thought of someone we love doing something that breaks the heart of God. When we see people hurting we hurt too and cry with them. 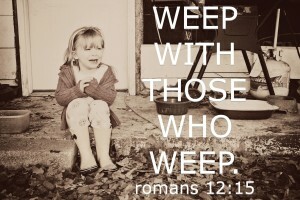 We are told in scriptures to weep with those who weep and rejoice with those who rejoice. Both of those things can bring tears to our eyes. The sad things like the death of a child, spouse or loved one brings such heartache that the tears many times flow freely. The joys of a wedding or the birth of a new baby also brings about tears. 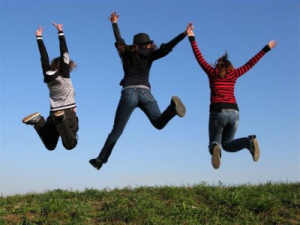 The thing is these things when done with a friend are more tolerable and exciting then when you are alone. Stress in a person’s life can cause them to either laugh or cry. Maybe you are nervous about something coming up and deal with it through laughter or crying. Weeping and laughing are brought about because of the different emotions we have. Laughing is good medicine. It helps release the endorphins that help us to feel better. Sometimes we are hurting so much that the only thing that can bring about the healing is a good laugh. Maybe a laugh at a memory of the one you lost or the memory of something you did as a child. We all need time to cry and laugh as we go through life. Not only do we cry and laugh but we also mourn and dance through life. We need to be there for each other. Who are you crying and laughing with? Is there someone in your life that is mourning the loss of a loved one, job, or other significant thing? Is there someone you can dance with and rejoice as they celebrate? Ask God to show you who needs you to come along side on this rollercoaster of life full of emotions. Father, thank you for emotions. Thank you for the opportunity to cry and laugh, to mourn and dance. Thank you for bringing into our lives people to do these things in celebration and despair. May I see those who You would have me to come alongside and help through the struggles. In Jesus’ Name Amen. They come in big and small ways. How will you respond to the Distractions that come your way? Over the last couple of weeks some major distractions have entered my current season of life. At the same time those distractions have confirmed the new calling that God has placed on my life. They have also taught me several things. Let’s go back a couple of months and start there. Then these distractions will make more sense. Since the end of August I have had a young woman living at my house. She is a recovering drug addict and trying to get her son back. He has been in foster care since March. As I have worked with this woman I have seen imperfect progress. She continues to grow and learn each day the many things that she is needing to know. In helping her I remember what it was like to be a single mom. What it was like to have needs and no one to turn to. What it was like trying to figure things out. Thankfully, when I became a single mom as a widow of 30, my mom was near by and able to help out some. She gave me much good advice and taught me so many things. You see, she had been a single mom as well. So knowing what a single mom goes through gave me the opportunity to help this single mom. Having also been married to a recovering drug addict, I could relate to this woman in a way that others couldn’t. So, since God brought her into my life, I knew He had a bigger plan. Little did I know back in August what that would look like. In October, I started to realize the BIG Picture, the BIG Dream that God was placing in my heart. As I researched the need for life coaches, I discovered this segment of people that were falling through the cracks and in desperate need of support, help, and encouragement. SINGLE MOMS. God has laid on my heart to start a home for single moms in our area. Along with God and some of His people we are still working out the details of what this will look like. But it is exciting to see it coming together. We look forward to one day seeing many happy faces as single moms and their children are thriving in a loving community and then able to move out on their own. So as we were starting to move forward with the next steps, something happened. Distractions. I was working more hours as a substitute teacher and not so focused on working with this woman. She had a situation arise that cost her. As we have worked through the situation, God confirmed that this is a full time ministry. Not one to be taken lightly. Not one for the faint hearted. It has it’s many obstacles. During this time I also became sick with a sinus infection. Distractions. The thing is this sinus infection was not like any I’ve ever had before. It became so severe I had to take time off work and be put on a second antibiotic. I am finally feeling some relieve but it is not gone. This incident reminds me that I still need to take care of myself in order to help others. Through it other people have also been important in helping me to heal and praying for me. So, this BIG Dream has some BIG Fights. But we are reminded that GOD’S power is more powerful than the enemy who comes to steal, kill, and destroy. This BIG Dream needs a TEAM to come to fruition. This BIG Dream needs PRAYER Coverage. This BIG Dream is GOD’S Dream and I am not alone as I follow His leading. He will Supply All of My Needs According to HIS Riches in Christ Jesus. He Will Never Leave Me Nor Forsake Me. His Grace is Sufficient in my weakness. So when God calls you to something BIG and Distractions come your way, Remember God Plants the Dreams, Big Dreams have Big Fights, God’s Power is bigger than the Obstacles, You are Not alone. If you are interested in learning more about this ministry to single moms you can contact me and I would love to share more with you. Right now the biggest thing we could use is prayer as we continue to put together the plan God has for this ministry. Father, as we follow your call on our lives may we be sensitive to the things that happen around us. May we realize that distractions will come our way, but how we handle them and the things we learn from them are all apart of the plan You have for us. Please continue to guide and direct us as we follow the BIG Dream You have placed in our lives today. Bring forth the workers needed. 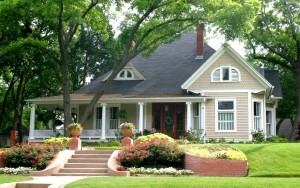 Bring together all of the details to bring to fruition this home for single moms in this area. Guide and direct us each day as we walk with You through our seasons of life. In Jesus’ Precious Name we pray and ask Your good and perfect will to be done in our lives. Amen. When we hear the words “tear down” or “build up” what comes to mind? I picture a house either under construction or renovation. But when we really stop and think for awhile there are many other things that can come to mind. Let’s pause a moment and think of some of those things that we tend to “tear down” and “build up”. Relationships. Emotional barriers. Political Barriers. Buildings. A look into the renovation of a house can help us see how that can also relate to the renovation of the soul of a person. Our first step is to find a house in need of some TLC (tender loving care). This house may only need minimal repair. It will take a short time to restructure into a safe, loving environment. Or it may be in need of major repair. Maybe even a complete overhaul. 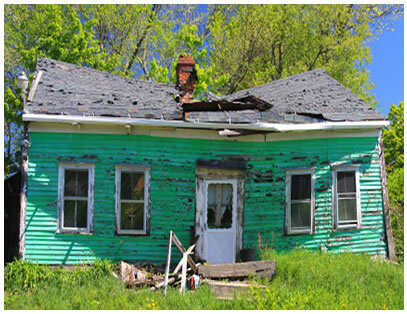 It may need to be demolished and rebuilt from the ground up so that it can be a safe, loving home for a family. As you are looking for the perfect house to renovate, you take the time to consider the following things. Cost. Time. Resources. Manpower. The vision you have for that house. People are like those houses. All of us are broken and in need of repair. Some need minimal restructuring, but others may need a complete overhaul. Some even come with feelings that they are not worthy of the TLC that can help bring a new vision and beauty beyond comparison. When working with people we don’t always have the option of selecting who we are going to help or how much they will need help. God brings people into our lives that He would have us to help. 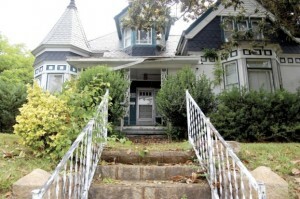 As we get to know them we discover what type of house they are: minimal or major overhaul. The second step in renovating a house is that we need to be able to see the potential, the beauty in what that house can look like. Once we see the vision for the home we start to make plans as to what needs to be done to make it reach it’s fullest potential. Looking at it. Walking through it. Hearing the stories behind it. Praying about what God would have us to do with it. Counting the cost. Planning the next steps. 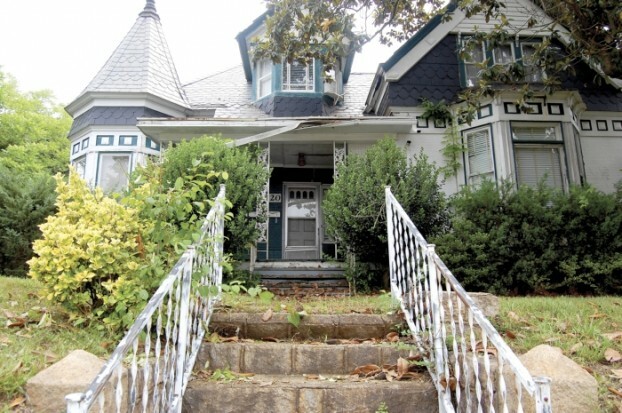 These are all things that will help us to see the potential of the broken house and how to turn it into the most beautiful productive house on the block. When working with people we need to take the time to pray and ask God to show us the potential that person has. We ask, “What is God’s original design for this person?” Then we start to look at their situation. Walk with them through the tough times. Hear the stories of their life. Spend some time counting the cost of what it will take to speak new life and healing into their life. Asking God to help you know what needs to be done to help guide this person into the person He wants them to be. The third step is to design a plan that will take the house from where it is to where it is going to be as a completed, beautiful house that others are drawn to. Those plans often include tearing down walls or even the entire house. Depending on the damage that needs to be repaired to make it into a masterpiece. The plan will have many steps. 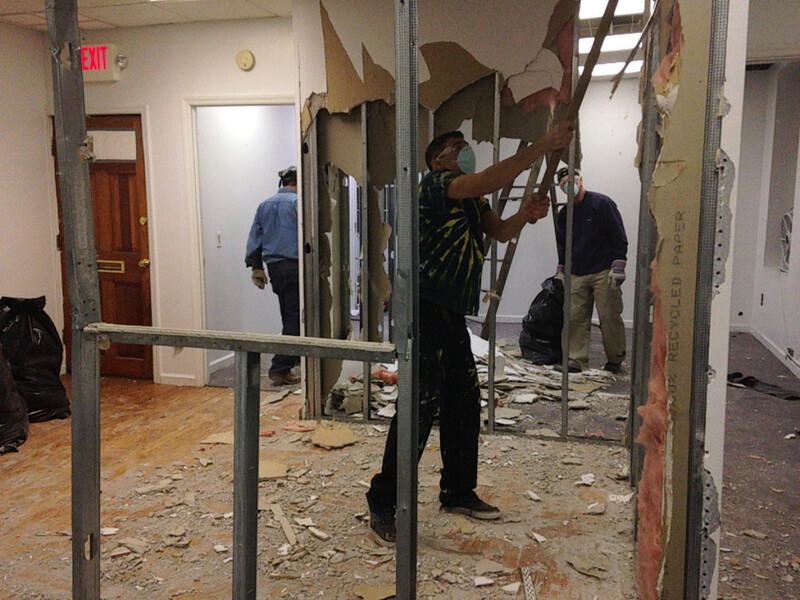 Tearing down walls. Building new ones. Paint. Pictures. Furniture. 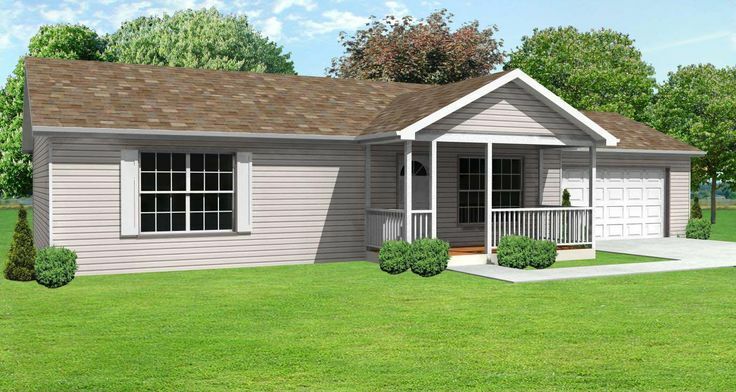 Final product – a beautiful renovated home. Renewing of your mind can be a difficult road for some people. They may have been abused and put down most of their life and only know those negative words. Those things that have been said and done to them for so long that that is all they know. It is what is normal. To renew their mind they need the help of someone to come alongside them and guide them to the next healing point. Helping them to take down walls and build up the new walls that form a strong confidence. The fourth step is to put into action the plan that has been laid out. Sometimes along the way we need to change the plan a little. Always keeping in front of us the goal that has been laid out before us. The final product. The vision of the potential masterpiece. The individual person has an action plan as well. A plan that will take them from where they are to where God wants them to be. Sometimes the plan has many steps and sometimes it has just a few. But when the person has a life coach to help them through those steps, they don’t seem to be as hard to get through as when they are on their own. A team working together gets the job done quicker and more efficiently. When renovating our soul the Lord is to be our key master builder. We as life coaches and friends come along and help to point the person back to the master builder. As the builder uses many tools, hammers, screwdrivers, saws, God uses tools in the form of people, circumstances, His Word to make us into the person He would have us to be. As a team, we are to bear one another burdens. (Galatians 6:2) Encourage one another. (I Thessalonians 5:11; Hebrews 3:13;10:25) Build each other up in the Word of the Lord. When the renovations are complete we can step back and see the Masterpiece. 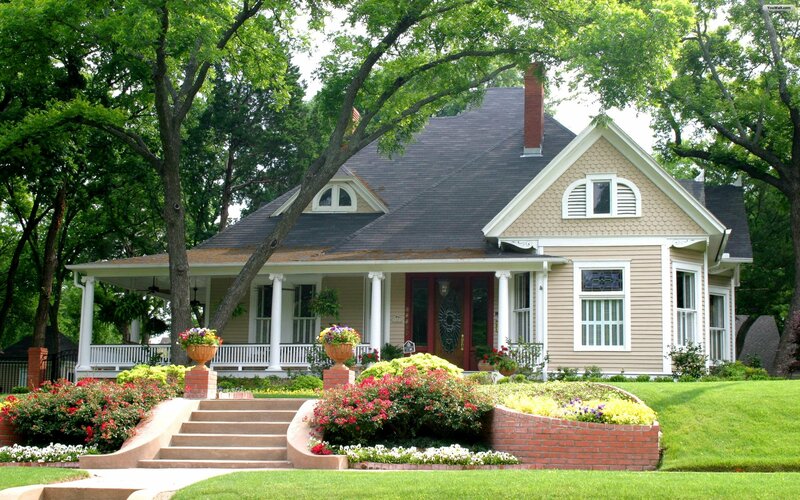 Whether it is an elegant house or a plain house, it is beautiful in the eyes of the one who renovated it into the house full of potential and meeting the dreams of the builder. Elegant or plain both are beautiful masterpieces. When God completes the masterpiece of a person’s life they are beautiful on the inside and the out. They are created to be who God would have them to be. As someone who helped in the renovation of the person, we celebrate and rejoice at the new creation God created. We continue to encourage them to grow in the Lord. This renovation of souls is what God has called each of us to do. We are to come alongside those in need and help them. Show them God’s love and help them through the power of prayer and God’s Word to make the changes that need to be made to grow in His strength and power. What is God calling you to do? Is there someone that God would have you invest in? Are you allowing God to renovate you? To turn you into His masterpiece? Father, we come to you today asking you to start by renovating our lives into the masterpiece that you have for us to be. We also ask for you to bring into our lives the people you want us to speak life into and help to become the people you designed them to be. Guide us through the plans you have for us. Plans for good with a hope and a future. Thank you, Lord for constantly working in our lives. Thank you for hearing and answering our prayers according to Your good and perfect will. Amen. So many times when we hear to kill or to heal we think of the physical body. But when we ponder and think about this on a much deeper level there are many ways to kill and to heal in this world. Sometimes that killing is not a good thing and other times it can be good. What are some things we kill? Time. Money. Energy. Hope. Dreams. Life. When we think about these things what comes to mind or what is the cliché that we put with it? To kill time is to waste our time. To kill money is to spend it foolishly. To kill energy may be to do things in our own strength not depending on God. Or to do things that leave us drained because it is not the right thing to be doing at the moment. To kill hope is to take away the hope that someone has in something to come. To tell them it will never happen. They can’t do it. To not believe in someone. To kill dreams is to put so many obstacles in the way that they feel they will never be able to reach the dream that is before them. To tell them it is too big and they will not be able to make it there. To have something happen that steals the dream from their heart. To kill life is to die physically, mentally, emotionally, and spiritually. Killing life can involve all of the above things. Killing time, money, energy, hope, dreams can all end in killing life. So if you can kill so many things, can you also heal those things? I believe the answer is yes. You can heal time by seeking God and asking Him how He would have you spend your time. Heal your money issues by managing and being a good steward of what God has given you. Heal your energy by getting proper rest, making wise choices of what you should do. Do those things that bring energy not draining you of what energy you do have. To heal hopes and dreams you need to have the support system that helps you see the hope of Jesus and can help you see and meet the dreams that God has given to you. When all these things are healed, we see healing of life. BUT the ultimate healer is Jesus. The only One who can truly heal you is Jesus Christ. He wants to have a personal relationship with you. He wants to bring healing to your hurts, your heart, your soul. He wants you to have hope and dreams that He can bring true in your life. Won’t you trust Him today with your dreams? With your life? This starts with you realizing that you are a sinner. All have sinned and come short of the glory of God. Romans 3:23 We are all sinners. There is none righteous, no not one. Romans 3:10. Romans 6:23 For the wages of sin is death, but the gift of God is eternal life through Jesus Christ our Lord. Because we are sinners there is a great divide between God and us. God is perfect, holy and just. But God loved us so much that He sent His only son Jesus to die on the cross for us. Romans 5:8 While we were yet sinners, Christ died for us. Jesus is the only one who could die for us, because He is the only perfect son of God. John 3:16 For God so loved the world that He gave His only begotten son. That whosoever believeth in Him should not perish but have everlasting life. God wants all of us to spend eternity with Him. He provided a way for us to be with Him. That way is through Jesus Christ. John 14:6 I am the way, the truth, and the life. No one comes to the Father except through Me. Acts 16:31 Believe on the Lord Jesus Christ and though shalt be saved. The only way to have complete healing in our lives is to trust Jesus and give Him our lives. That healing may not be a complete physical healing here on earth but He gives us peace to go through whatever comes our way. As a life coach, I am seeing the way the world tries to kill the hopes and dreams of people. When they feel hopeless they kill the time, money, and energy that they have been given. God is allowing me to come into the lives of people and bring healing through providing them a sense of hope again. It can be a long and hard battle but it is so worth it when you see the hope start to light up in the face of someone who has felt hopeless. Father, I pray that you would draw us to You. That we will learn how to trust You more and more. That we would not kill the things you have given us, but that we would find the healing that is needed in Your son, Jesus Christ. We know there are times to kill and times to heal. May we know what and when to do those things. In Jesus’ Name Amen. Here in Iowa we understand the planting and harvesting process. It is our mainstay in the agricultural world. Every spring the farmers wait until the weather and soil is just right and then they go out into the fields to plant the seeds. The gro und needs to be warm enough for the seeds to germinate and wet enough for them to start to grow. The waiting for just the right moment is hard at times but crucial, for if the seeds are planted to soon the plants may come up and a frost may kill them. Then they have to replant. If it is too wet the seeds will rot and not grow. 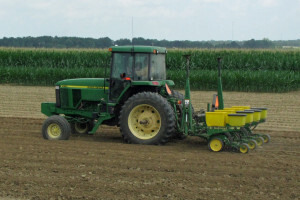 So, for the farmer the soil is important to the planting process. In the fall, the farmer harvests the crops that he planted in the spri ng. Once again the weather and soil need to be just right. The plants have reached full maturity and are ready to be uprooted from the fields. 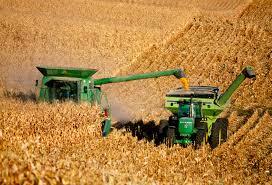 The machinery helps to harvest the crops quickly. There is just a right time to harvest it though. The produce needs to be at just the right moisture level or it may rot in storage if too wet or cause a fire if too dry. They need to be harvested when the weather is good. In between planting and harvesting, there are many things that take place. Some are in the farmers control and others are not. God controls the weather. How much rain will fall and when. How much the sun will shine. Even if there will be storms with strong winds or hail. The weather is in God’s hands and it may be harsh for one farmer but not for another. The truth be told the crops need a certain amount of hardship to grow strong. Only God knows exactly how much that is. The farmer works to remove the weeds that like to grow and choke out the plants. He adds fertilizer and pesticides to help protect the plants and give them the food they need. The farmer is always getting ready for the harvest by preparing his equipment for the next step of the process. As a Christian, God planted the seed of His Word in our lives and drew us to Himself. He may have used someone else to plant that seed, but He made sure our heart was ready to receive it. He allows us to go through various storms to help us to grow to be strong and depend on Him. He gives us His Word and other people to help us to weed us the plants that lead us to believe the lies of this world. When we confess our sins He is faithful and just to forgive us our sins. (John 3:16) He continues to help us to grow by bringing people into our lives who will call us out when we sin and need to repent. These people are used by God to challenge us in our walk with Him. Sometimes they even protect us from ourselves. During the in between times we are provided with resources that deepen our roots so that we can be strong when the storms come our way. Those resources are other believers, His Word and Bible studies. Spending time with God in prayer and fellowship with others give us the strength we need for each day. God’s grace is sufficient when we are weak. 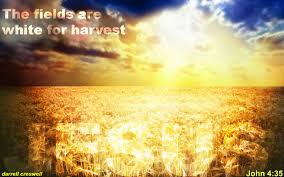 When we come to maturity God provides a harvest that is abundant. The harvest may be the opportunity to see someone else come to Christ and be a part of helping them to grow in God. Our ultimate harvest is when we get to go to heaven and spend all of eternity with Him. May we be found faithful in serving God during the planting and harvesting of the fields of men’s souls. Father, you are the creator of all things. You plant the Word in our hearts and walk with us through the storms of life to help us to grow in a deeper relationship with You. Help us to trust You to know what is best and to depend upon You and Your Word. Continue to grow Your Word in our lives each day. Help us to allow You to use us in the lives of others. 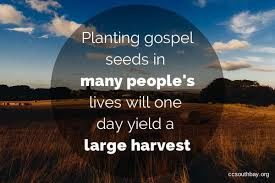 To plant the seeds of the Gospel and to help bring the harvest to You. May we be willing tools in Your hands. In Jesus’s Name Amen.